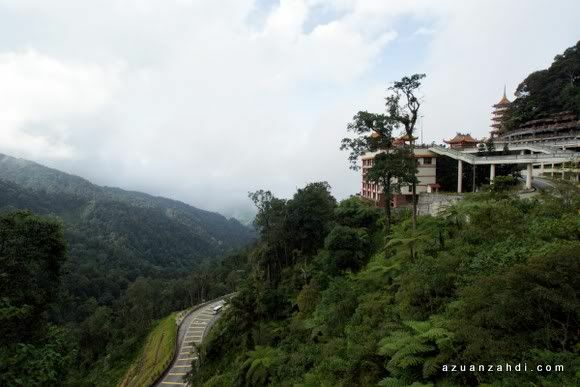 The line from Eagles’ Hotel California best described my feeling of having to leave Genting Highlands. 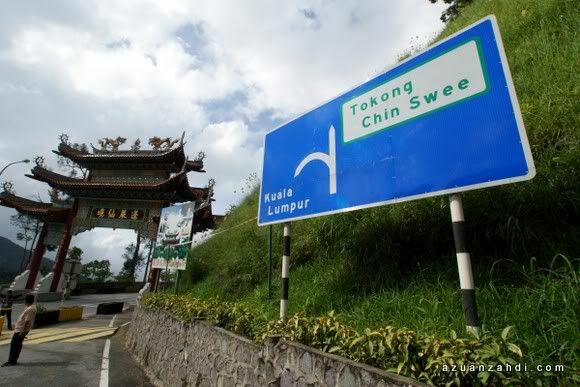 As the City of Entertainment, Genting Highlands is a city that ‘never sleeps’. It is also a place that you can enjoy for days but unfortunately for me and 28 other bloggers, it was time for our next destination. 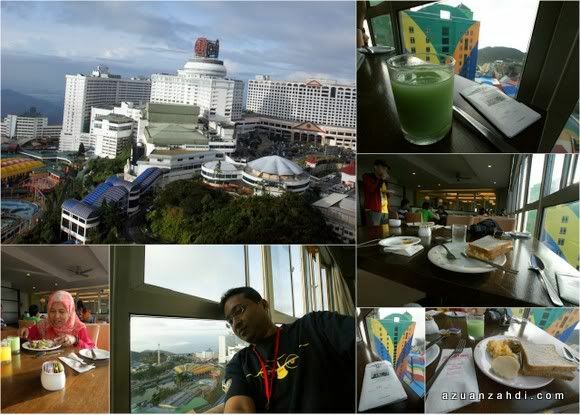 One last VIP treatment offered by Resort World Genting, an exclusive breakfast at the World Club Lounge, the highest floor of First World Hotel. What a perfect combination to start a day. Beautiful view, delicious food and cool friends. 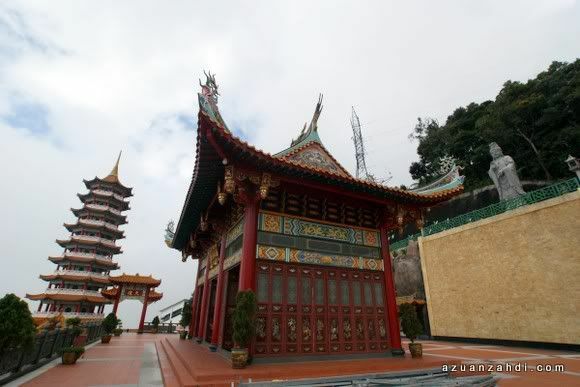 As we made our way down from Genting Highlands, the bloggers made a quick stop at Chin Swee Temple. 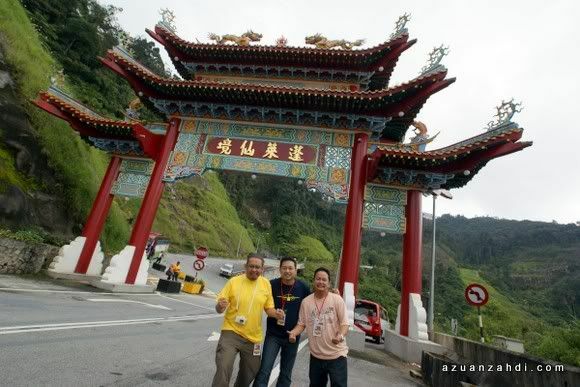 Kak Ning, our friendly tourist guide explained that this is the best spot for photo as the temple is located on the most scenic spot of Genting Highlands. It took me a good 5 minutes to walk up to the temple. I blame it on the heavy breakfast rather than accepting the fact that I’m older than most of the other bloggers. At least I’m not in the NERD age-group. LOL! Kak Ning was right. It was quite a view despite the heavy fog making photography quite tricky. Our next stop was The Kanching Waterfalls. 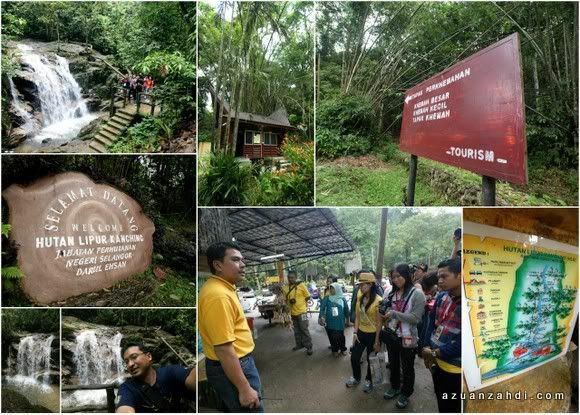 Located between Selayang and Rawang, this is a hidden gem for nature lovers visiting Selangor. 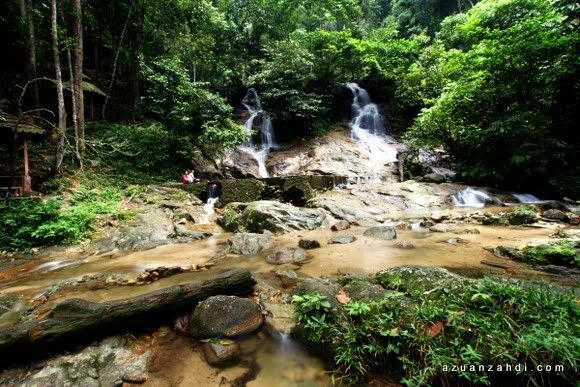 It has 7 layers of waterfalls with the lowest 3 levels being easily accessed by families with kids. The higher levels are a bit challenging and require a bit of hiking skills and good pair of shoes. We ended up at the third tier and had some time enjoying the nature. We had packed lunch in Kanching with some un-invited guest. Another reason to take your leftovers with you. 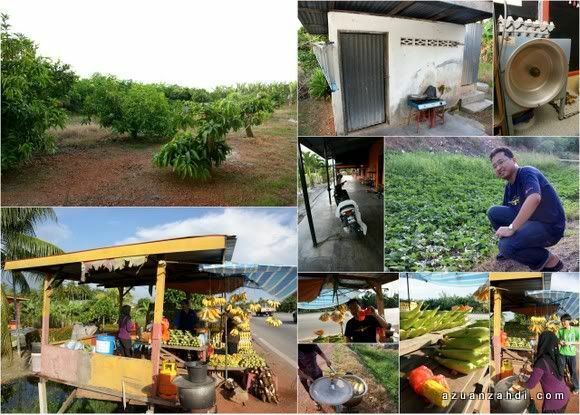 After Kanching waterfalls, a 3-hour bus ride brought us to the most northern part of Selangor, Sabak Bernam. 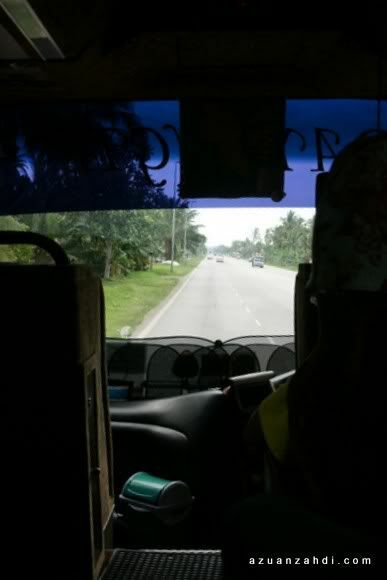 As we drove passed Kuala Selangor and Tanjong Karang, the change of scenery was noticeable. From busy scenes of a city to relaxing sights of green paddy fields and coconut trees. 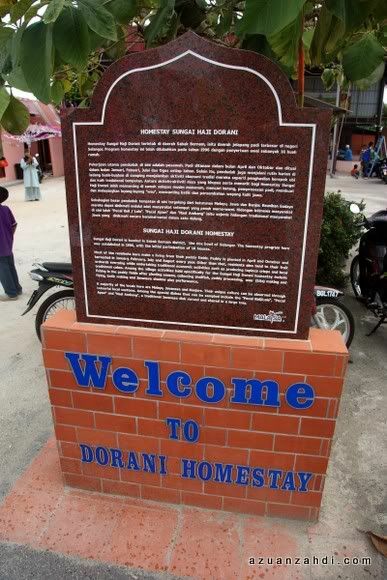 We finally reached the most famous homestay in Sabak Bernam, the Kampung Sungai Haji Dorani Homestay. 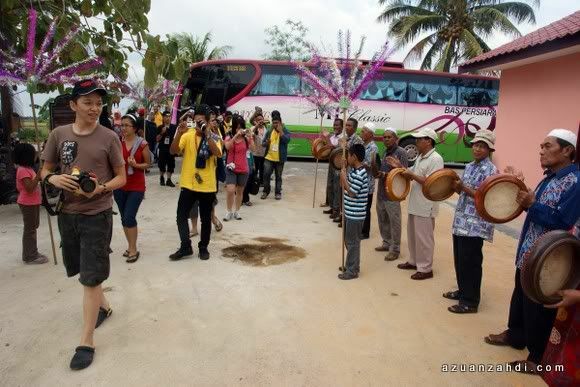 Despite being a kampung (village), we were still welcomed like VIPs complete with Bunga Manggar and Kompang. 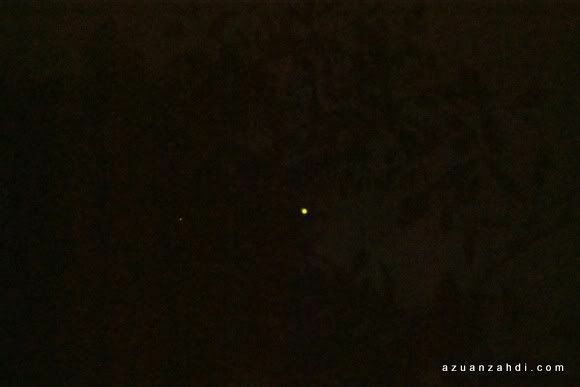 A short video of Kuda Kepang show. Taken with the Pentax Model Optio H90. 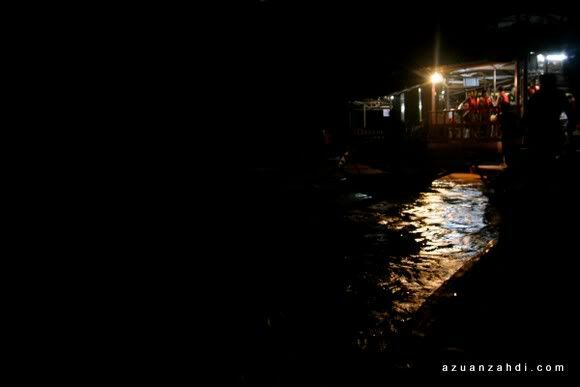 In pairs, the bloggers were assigned foster parents and homestay for the night. I was paired with Sylistic, a young but experience chap from Singapore. He is only 18 years old and first time being in a kampong so I hope I did an OK job in making things fun for him to accommodate the stay. A tour around the house. 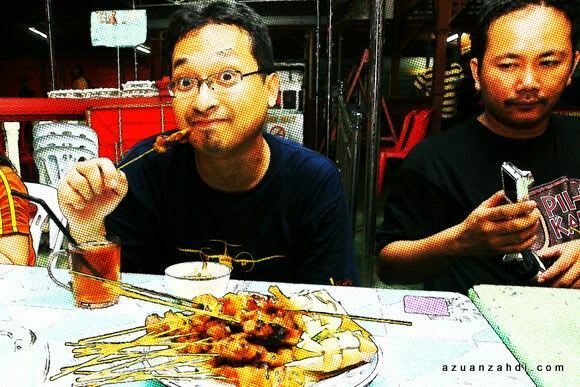 The food-trail blogging adventures of day 3 made the last stop at Tanjung Karang’s famous Satay Hut before going back to Sabak Bernam. 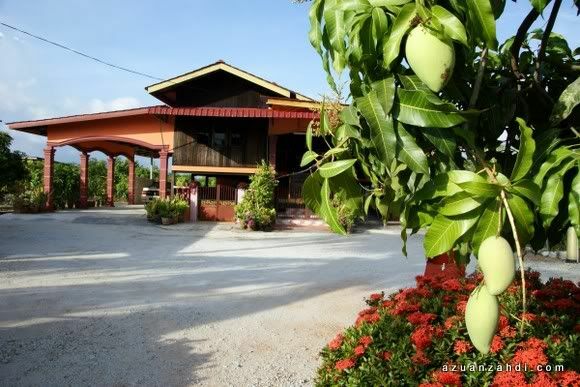 Satay Hut is less-commercialized and offers good satay at an affordable price. 5-stars and highly recommended! 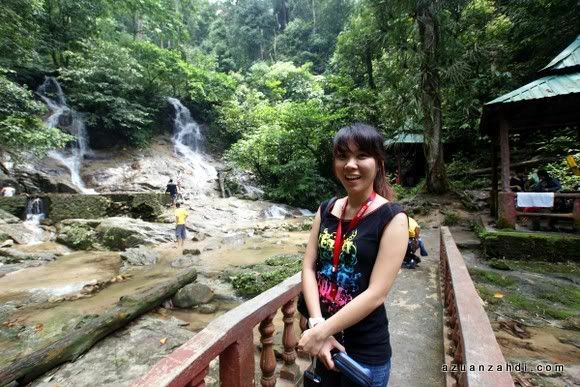 From Chin Swee Temple in Genting to Kanching Waterfalls to Kuala Selangor’s Fireflies to Tanjung Karang’s Satay Huy and Sabak Bernam’s Homestay. 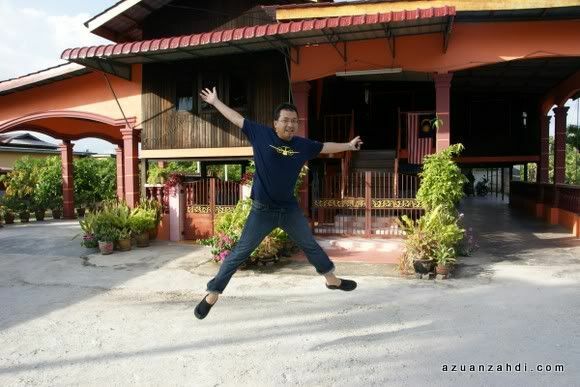 What a looooong and exciting Day 3 of MySelangorStory tour. Here’s a slideshow of Day 3 photos. Love my story? Click here to vote 5 Hearts / Stars! ahahahaha funny pics! the monkey is so cute! 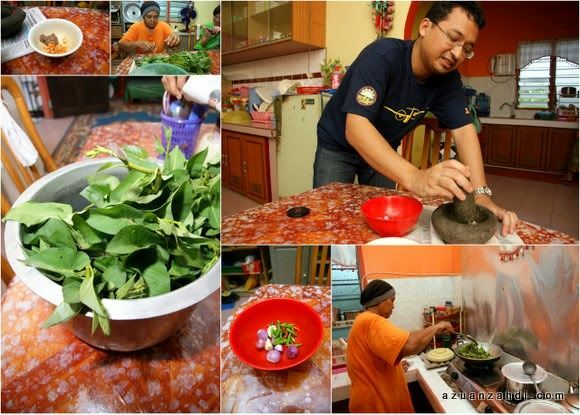 Ketam masak cili api wei! Nak MAsuk this contest next year… all expenses paid for? Abng Ben: Gua perlakon pemasak yang terlampau….. tangan bangku…. 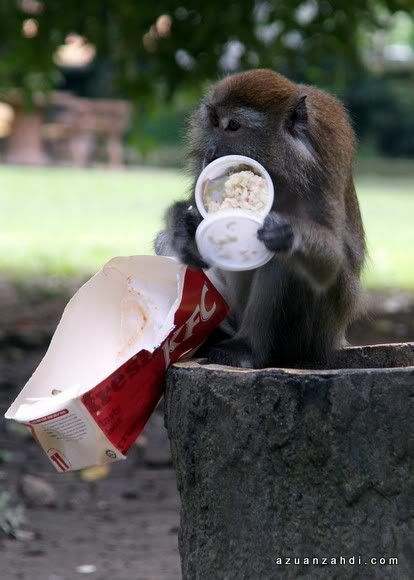 Lin Ai Feng: Monkeys in Kanching hates VEge. I WANT SATAY! 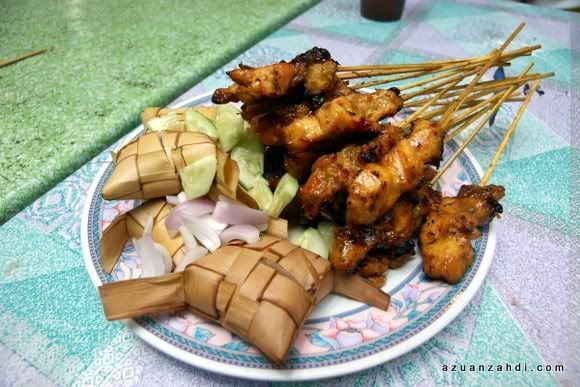 actually its the best satay ive ever eaten..damn juicy kao kao! Dylan: I agree. If only the Staya Hut is nearer to the city! Sy: Thanks bro. Have fun in Japan! Fadli: Masing2 dengan keistimewaan sendiri! CIMB KL Open Squash 2009 – Go Nicol David!